Thy martyrs, O Lord our God, * have received imperishable crowns from Thee in their sufferings; * for, possessed of Thy might, they set at nought the tyrants, * and destroyed the audacity of demonic weakness. * By their prayers do Thou save our souls. Champion of Orthodoxy, teacher of purity and of true worship, * enlightener of the universe and adornment of hierarchs: * all-wise Father Theodore, your teachings have gleamed with light upon all things. * Intercede before Christ God to save our souls! O Passion-bearer Minas, * Christ our God, the imperishable Crown of martyrs, * took thee from a transient army, * and showed thee forth * as a partaker of the incorruptible and heavenly. 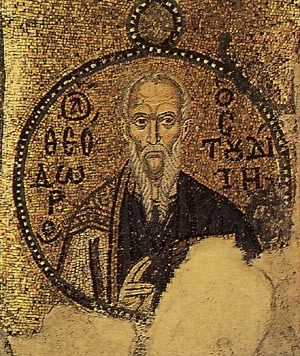 Thine ascetic life, equal to an angel’s, * made thee radiant through thine athlete’s contest; * blessed by God, O Theodore, * thou didst become a companion of the angels, * with whom thou unceasingly dost intercede for us all. Be ready to hand in your Pledge Forms at the end of the Parish Meeting. Parish Council Meeting after Liturgy next Sunday. The Nativity Fast begins this Wednesday. For your own spiritual benefit, please observe it to the best of your ability! On November 13th and 14th, the Church celebrates two saints who lived and worked in the city of Constantinople. The first is John Chrysostom, and the second is the Emperor Justinian. We might assume that his stance would be welcomed and supported by all the clergy. But there were those among them who had become accustomed to a life that didn’t demand much of them in terms of moral living or hard work, and they deeply resented Chrysostom. He endured real hatred from those who had no desire to live up to the standards he set, and they watched with jealousy as he became a famous preacher and, more importantly, a spiritual shepherd loved and trusted by the people. He suffered from their envy, and it finally led to his exile and death. But he never abandoned his struggle to live as a true follower of Christ. 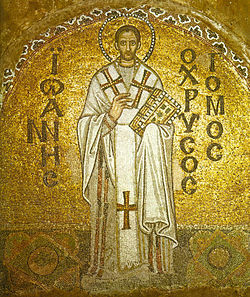 Justinian was born in 482, about 75 years after Chrysostom’s death. His unusually long reign, from 527 to 565, was as full of notable events as Chrysostom’s life had been. He planned aggressive military campaigns to regain territory that had been lost, especially in North Africa and Italy. His effort was so successful that by the time he died in 565, the Empire extended further than it ever would under the rulers who followed him. Justinian wrote hymns, created a code of laws (the “Justinian Codex”) to bring order to the life of the Empire, and lived as a serious Christian. He kept the fasts and observed the feasts, urging others to do the same, whether they were members of his court or simple citizens. The rebuilding of the cathedral of Hagia Sophia was one of the great achievements of Justinian’s reign. He undertook a massive program of construction throughout Constantinople, which was described in a treatise written by the court historian. 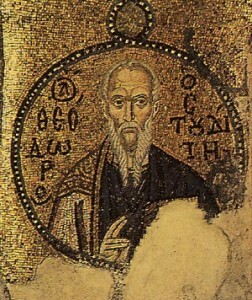 The cathedral, being the central place of Christian worship in the Empire, was the most notable part of his effort.Hagia Sophia is known for its design and grand scale, as well as its soaring dome. At least two of the architects Justinian selected had been trained in physics and mathematics, and they were able to create a structure that has impressed thousands of visitors since their work was completed in 537. Though it is no longer a place of worship for Christians, Hagia Sophia is still a reminder of the shining days of Constantinople. The two saints commemorated in mid-November, John and Justinian, did much to make the city a place where God was honored and truly worshiped.